Cardiovascular Disease affects millions of Americans per year and is currently one of the leading causes of death. Conditions that involve the blood vessels or heart are typically considered cardiovascular diseases, and maintaining your cardiovascular health is crucial to the quality and quantity of your life. At Cardiology Consultants of Southwest Florida, our experienced medical team can help maintain your cardiovascular health using the latest in diagnostic and treatment technologies. Contact us today to schedule a consultation and find out how you can improve your cardiovascular health. Our cardiologists may conduct echocardiogram or stress test. 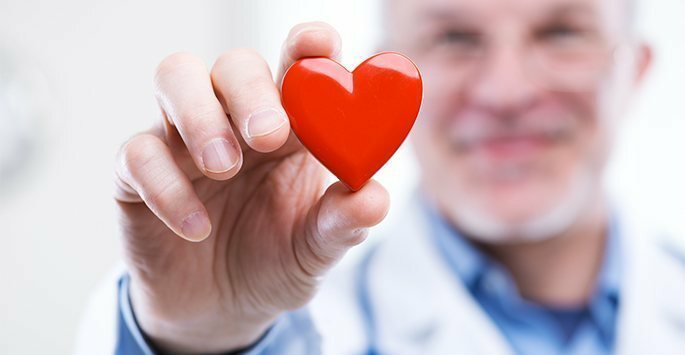 Whether you are interested in maintaining your current heart health, improving your cardiovascular health, or wanting to have your cardiovascular health evaluated, our expert cardiologists at Cardiology Consultants of Southwest Florida can help. Having good cardiovascular health can help prevent the onset of serious medical concerns such as. Heart valve problems: This occurs when the heart valves do not open enough to allow blood to properly flow through. Arrhythmia: This is characterized as an abnormal rhythm of the heart, and can mean that the heart is either beating too fast, too slow, or irregularly. Heart attack: Individuals that experience a heart attack have had a blood clot block blood flow to part of the heart, affecting part of the heart muscle. Stroke: This occurs when a blood vessel that leads to the brain becomes blocked, usually by a blood clot. Congestive heart failure: This condition implies that the heart is not pumping blood as effectively as it could be, affecting the areas of the body that are not receiving as much blood as they need. How Can I Have My CardioVascular Health Diagnosed? All of these conditions can vary in severity and treatment options. During your consultation with our medical team at Cardiology Consultants of Southwest Florida, we will use the latest in diagnostic technology and testing to get the most accurate depiction of how your heart is looking and functioning. For patients requiring heart procedures, we also perform angioplasties, pacemaker implantations, coronary stenting, and other surgeries in our state-of-the-art facility. Your cardiovascular health is important to us, and in addition to the services required in our office, we can also help you make essential lifestyle changes in diet and exercise to help you maintain your cardiovascular health for the long term. In some cases angioplasty can be used to improve blood flow. Contact Cardiology Consultants of Southwest Florida today to schedule a consultation and have your cardiovascular health evaluated by our medical team. Visit our top-rated cardiologists in Fort Myers.